Leveraging the latest trends and technology we focus on building robust and intuitive mobile apps, whether it's for Android, iOS or cross-platform. Applications have now become an essential way to connect with your audience. From latest stacks in iOS and Android app development to emerging technologies in cloud and IoT, we use our expertise to transform your ground-breaking ideas into stunning mobile applications. We focus on most enticing and user-friendly design options, flawless functionality, and an agile development approach while crafting the finest apps. 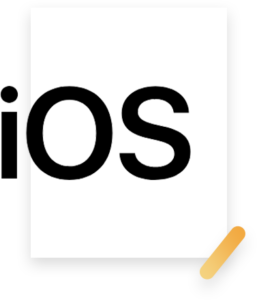 Experience the perfectly crafted end-to-end tailor-made mobile applications using the latest iOS SDKs. We ensure unprecedented growth opportunities for your business by developing the apps that have what it takes to get featured on the App store and get maximum downloads. We use our expertise in multiple languages like Java, C++ etc. 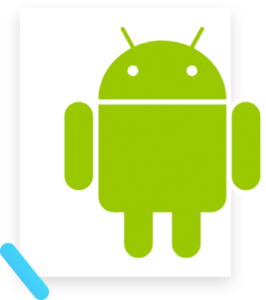 to develop the most stunning and robust Android applications that function over all the major types of Android devices and platforms. We understand the need to feature your app on the top of google play store! Ready For Your Great Mobile Experience? We consider gathering your requirements as a foremost step in developing mobile applications to develop exactly what you need. Eye-catchy designs are something that entices your customers. We make use of latest tools of designing to help attract your users and develop a prototype. Your app is then developed, considering the preferable platform along with the element of security. A high-quality app is what we are working on from the start. We make sure that you get the 100% bug-free app through rigorous QA and testing. Now your app is ready to shine on the App store or Play store. We are still up for the extra enhancements or solve the flaws that may arise even after development.